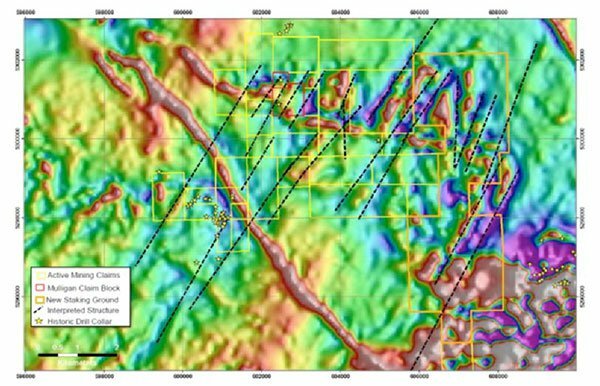 Meteoric Resources NL (ASX:MEI) today announced the expansion of its Mulligan cobalt landholding via staking an additional 90 claims (13.7 square kilometres) for surrounding tenements. The additional cobalt-prospective ground is approximately 5km east of the Mulligan Cobalt project situated in Ontario’s Cobalt Embayment. The area is renowned for its historic production, including over 28 million tonnes cobalt and 720 million ounces silver. 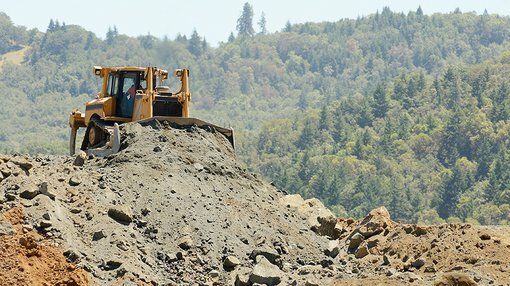 MEI is hoping there is considerable potential to be unlocked in the nearby land, with similar trending structures that hosted historical high-grade cobalt production at Mulligan, returning grades up to an impressive 10% cobalt. It should be noted, however, that this is a speculative stock and investors should seek professional financial advice if considering this stock for their portfolio. The newly gained ground will become part of the Mulligan East Cobalt Project, comprising 19 claims in total across 1371 hectares or 13.7 square kilometres. The project sits just 50 kilometres north of the historic cobalt mining centre of Cobalt, and circa 5 kilometres east of the existing Mulligan claims — where exploration efforts are targeted at high-grade silver-cobalt vein-style mineralisation similar to that mined at Cobalt itself. The below image of the Mulligan and Mulligan East Cobalt project shows the NE trending magnetic-highs claims are associating with Nipissing Diabase intruding into Huronian sediments. Historical assays completed at nearby sites have demonstrated impressive grades of up to 4.5% cobalt, and 87g/t silver within mineralisation at Foster Marshall. The company expects rock-chip and soil samples assays from the Iron Mask & Mulligan projects to be released in the coming weeks. According to MEI’s experts, the main rocks at Cobalt that host cobalt-silver vein mineralisation are Coleman Member sediments of the Huronian Supergroup, Nipissing Diabase sills and volcanic Archaean basement rocks. In the company’s own words, the mineralised veins of the Cobalt Embayment are interpreted as a shallow, peripheral component of large-scale hydrothermal systems where fluid flow was focused along both the regional unconformity between basement rocks and overlying sediments and reactivated faults that offset the unconformity. 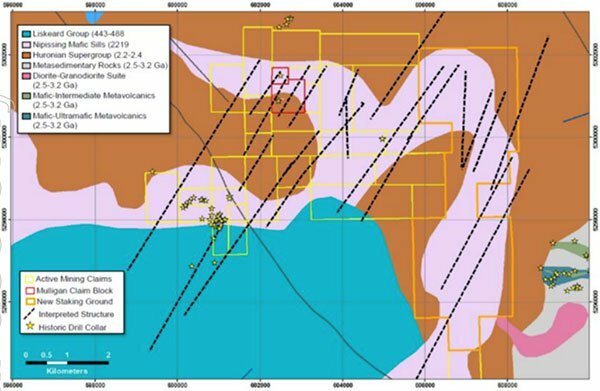 MEI’s announcement then went into further technical detail regarding how the project’s style of deposit came to be: ‘The magnetic data correlates well to outcrops of Nipissing Diabase and indicates a dominant NE-trending control. In terms of the prospectivity of the Mulligan Project, large outcrop hills have been identified via satellite imagery, and can be interpreted as ‘Nipissing Diabase sills’ preferentially weathering as topographic highs. This is all promising news for the A$30 million-capped MEI as it looks to shore up what it’s got at Mulligan, while also expanding the project as part of a longer-term exploration agenda.